Women’s health is an important topic about which many of KELC’s women’s groups have requested to receive more educational seminars. 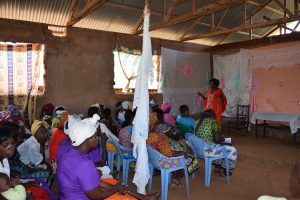 The Women’s Department has endeavored to educate women about their health and their access to health care in many different areas of Kenya, covering many different topics within women’s health. 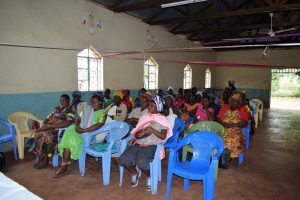 During the second week of April, the Women’s Department continued their efforts to share information about women’s heath by holding seminars in Taveta Parish, Timbila Parish, and Kitobo Mission to educate women about cancer, especially breast cancer and cervical cancer. 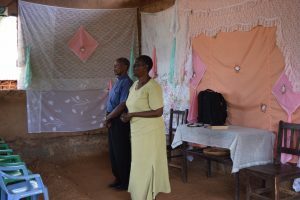 The local hospital administrator in Taveta said that non-communicable diseases, like cancers, heart disease, or diabetes, have become more prevalent in the area. Currently non-communicable diseases are affecting more people than communicable disease, however most people in the area are not going to the clinic or hospital for diagnosis or treatment of their illness. 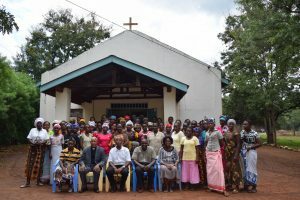 The Taveta hospital staff were happy to partner with our churches in the area to educate women about health issues and to provide screening for cancer. In each of the three location of KELC parishes, participants were invited to a two-day seminar to receive educational training about symptoms of cancer, methods for doing home self-screening for breast cancer, the importance of maintaining good hygiene, and what to do if you become ill. On the second day of the seminar, all participants visited a local nurse who performed screening for breast cancer and cervical cancer. The health care professionals also answered health questions that the women participants might have, regarding themselves or their family’s health. Over 250 women participated in the three seminars and all were examined for signs of cancer. Nearly all women who were screens were found to have no sign of cancer. For those few who were found to have indicators of either breast or cervical cancer, they were referred to the local hospital in Taveta for further testing and examination. 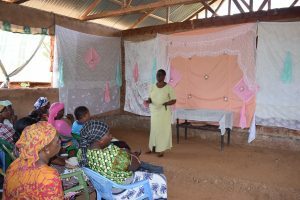 During the seminars, there were also sessions about women’s leadership, creating a vision and mission for your work and family, and the role of women in society and the church. The women were very happy to have the opportunity to learn more about heath care, leadership training, and empowerment topics. We are thankful for the success of this program, and we continue to pray for women’s education and for the good health of all people. ← Happy Easter from KELC!